As part of Government of India’s initiative to revamp medical education, Jammu and Kashmir, along with other states, has been instructed to furnish infrastructure details to increase the number of postgraduate seats in its Government Medical Colleges. The Union Ministry of Health and Family Welfares (MoHFW) shot the missive to J&K after its request to Medical Council of India (MCI) to allow an increase in PG seats of surgery, medicine and Gynae-obstetrics from 2017-18 session only as ‘a one-time measure’. The state health authorities have been asked to fill its existing infrastructure and human resource details into the format circulated by the MCI. 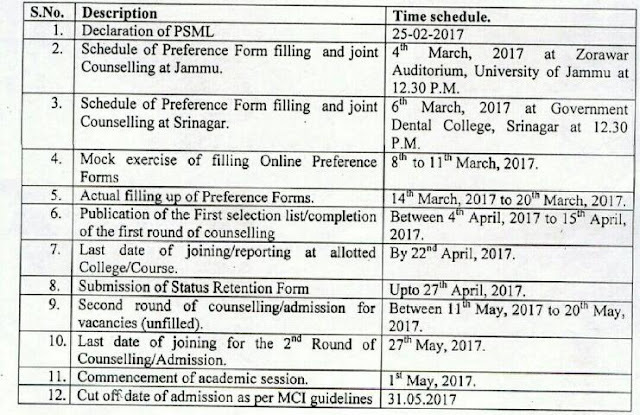 “There is usually no dearth of clinical material in government hospitals,” the MoHFW letter to J&K government dated February 08 2017, reads, adding that the state should expedite furnishing the information required by MCI to permit the increase in intake capacity for PG courses.The matter may be treated as “top priority”, the letter reads, as the Government of India has decided to increase the availability of PG seats across the states. 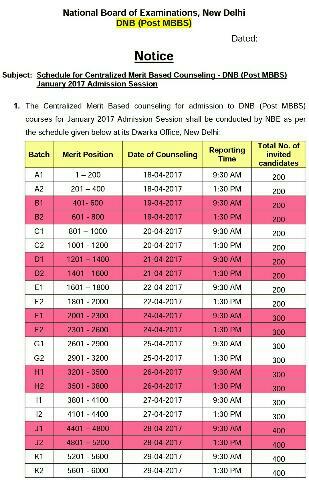 An increase in the PG seats for MD and MS courses has been made possible as the Ministry has given a go-ahead to “rationalizing of student-teacher ratio”. 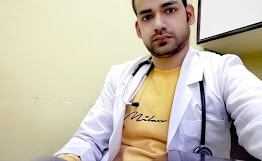 An official said a separate communication has gone to Government Medical College (GMC) Jammu, GMC Srinagar, SKIMS Medical College Srinagar and Acharya Shri Chander College of Medical Sciences Jammu, from the Union Ministry asking them to furnish the details at earliest. The official communiqué has also asked these medical colleges to furnish “assessment details for existing and potential number of PG seats in view of the revision of teacher student ratio in clinical subjects in government medical colleges”. In view of this development, the Ministry had also held a video conference with the heads of all medical colleges on January 24th 2017. Recently, the MCI under its PG Regulations issued a notification that re-adjusted the permissible teacher student ratio to 1:3 for Professor and 1:2 for Associate Professor (Unit head). Earlier, a professor could take only one PG student and Associate Professor was also allowed one PG student. 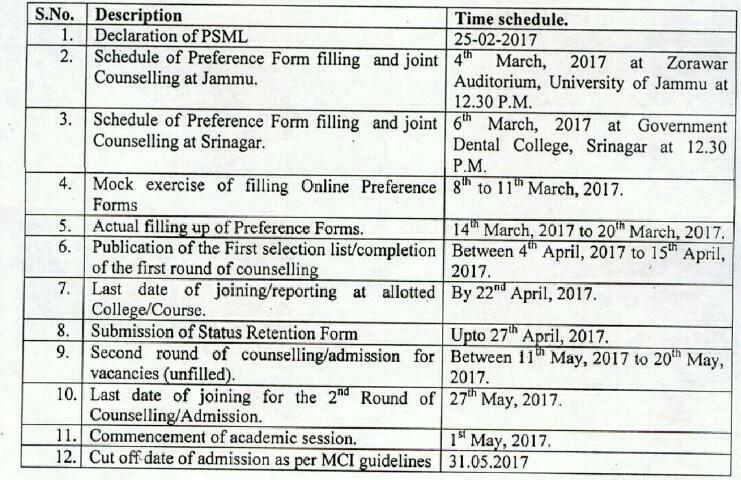 However, the relaxation has been extended for government funded Medical Colleges only and would be applicable to “all clinical subjects”. The proposal for increase in availability of medical PG seats comes in view of the efforts required to improve the doctor-patient ratio across the states and bring it at par with the World Health Organisation recommended 1:1000.